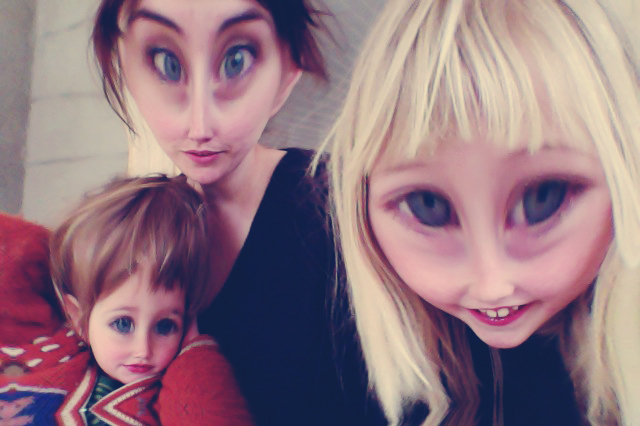 Apart from being abducted by aliens, it's been a pretty normal and pretty nice old Sunday. We baked buns, drank coffee, played outside, did some weeding, jumped up and down in the bed, went for a walk down to the river - where Ronja posted a message in a bottle!, did some tidying, had a tantrum (Freja), worked on the roof (Mr. Payne), made dinner, watched a film. Now, food, bath time and then beddy bobos (...as we say. It means hitting the sack, going to bed, calling it a day).